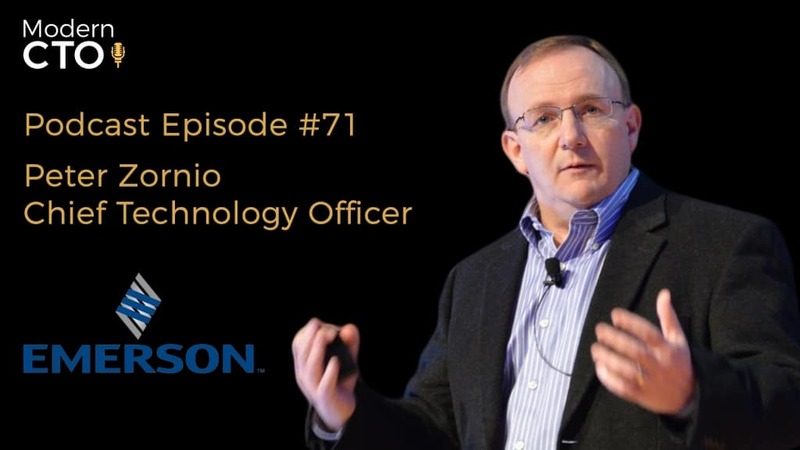 Today we are talking to Peter Zornio, the CTO of Emerson Automation Solutions. And we discuss the connection between Information technology and Operational Technology, The future of Automation, and why software developers are not ditch diggers. Peter Zornio is Chief Technology Officer (CTO) for Emerson Automation Solutions and has been with Emerson for 12 years. As CTO, Peter has responsibility for overall coordination of technology programs, product and portfolio direction, and industry standards across the Automation Solutions group. This includes Emerson’s digitization and Industrial Internet of Things (IoT) developments, such as the Plantweb™ digital ecosystem. Past roles at Emerson have included leading development and marketing for Emerson’s systems and solutions portfolio. Prior to Emerson, Peter spent over 20 years at Honeywell in a variety of positions across the entire automation portfolio. His 30 years of experience in digital manufacturing architecture covers marketing and development of all aspects of process automation and related IT technologies, including wireless, Industrial IoT strategy, field measurement, fieldbus technologies, control systems architecture, and operations management applications. Peter is based in Austin, Texas, and holds a degree in Chemical Engineering from the University of New Hampshire. OT has risen to distinguish from information technology. It’s all about how do we keep the plant operating. High availability is a great term. How do you spend your day? Pie chart of day – Business Units, Customers, Product Planning. Strategy and on the right track for the future. How does the QA process differ? Control challenges with the pharmaceutical and life sciences industry. Managing structure since he came to Emerson? What is your leadership style? Big believer in leading by example. Exhibit the behaviors you want people emulate. Try hard to not be a jerk. Try hard to not come across as egotistical and my way is the right way. Try to drive collaboration. Get people bought in, make them feel like they are a part of decisions. Look you may be the smartest guy in the room, but you’re not smarter than the room. Always on the hunt for talent. Use the term Sparky. Always recruiting. The most precious commodity. Very Promising future as long as the machines don’t take over.